Since the dispute can ultimately be reduced to an alleged theological dispute, and not a textual one per se, in this post I will attempt to tackle the alleged theological contradiction of the KJV translation. Allegedly, if Paul really said "this is my body broken for you" then this contradicts the apostle John's theology that Jesus' bones were not broken (Jn. 19:36; Ps. 34:20). Really? A contradiction? Certainly it is undisputed that Jesus' bones were left unbroken. And even more specific to John's gospel, the bones of Jesus' legs were not broken. But are we to infer from Jesus' bones not breaking, that his body was not broken? 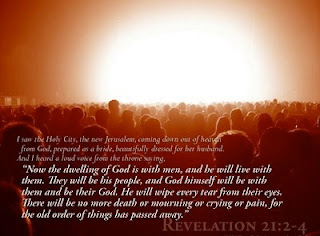 Affliction will slay the wicked; and those who hate the righteous will be condemned. In the context of John's gospel, which uses this Psalm to point to the fulfillment of Christ's once-for-all sacrifice of himself, those who were familiar with the Jewish scriptures probably knew this Psalm and identified with John's reference to it. According to John and the Psalm from which he quotes, not only is some physical suffering of the Righteous One prophesied, but also the destiny of those who reject the Righteous one. How righteous was Jesus, even though he was crucified as an unrighteous criminal by the world's standards? 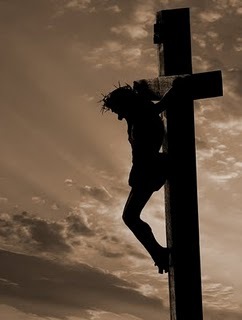 His unbroken bones are proof of his righteousness; and those who hate the Righteous One will be condemned. Furthermore, even though King David says that not one bone of the Righteous One will be literally broken, Psalm 34 is not the only prophetic Psalm with Christological implications. In Psalm 22, David also foreshadows Christ's suffering on the cross, saying "My God, My God, Why have you forsaken me?" (22:1; cf. Matt. 27:46), "they have pierced my hands and feet" (22:16; cf. Luke 24:39-40), and "they divide my garments among them, and for my clothing they cast lots" (22:18; cf. John 19:24) while at the same time, and in the same Psalm, declaring that "all my bones are out of joint". Is not the description of "all bones" being "out of joint" another way of describing his body being broken? Isn't this clearly another Psalm which John says is fulfilled in Jesus' suffering on the cross (John 19:24)? Which is it? Were Jesus' bones broken or out of joint? Is anyone even willing to allege that both propositions are contradictory? Clearly this is a false dichotomy. Both are possible and true. The bones of Jesus' legs were not broken and Jesus' bones were out of joint. The same can be truly said concerning Paul's use of the rite, "this is my body broken for you," when compared with John's theology. Not one of Jesus' bones were broken and Jesus' body was broken. Now, let's go back to earlier concerns and try to tie this all together. Let's go back to the allegations of John's theology contradicting Paul's. John was certainly describing literal bones being broken as a fulfillment of Scripture. But was Paul describing literal bones being broken? Was Paul even describing Jesus' body being broken literally? After all, keep in mind that Jesus' body was present when he said, "Take, eat; this is my body." How much more then was it intended to be literal if he said that this "body" of his is "broken for you"? 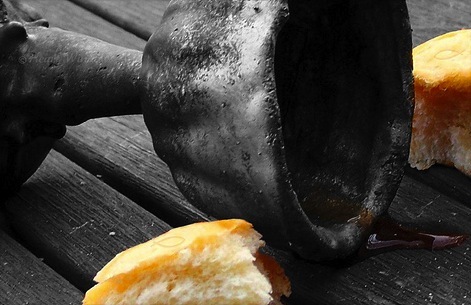 Perhaps Paul only intended a symbolic "breaking" of Christ's body. As long as we are using the Scriptures to interpret themselves, no matter which way one answers these questions, there is no contradiction to be found. If one assumes that Paul was describing literal bones being broken, all one has to do is provide a counter-appeal to his actual words, which said that his body was broken, not his bones. If one insists that Jesus' literal body was broken, all one has to do is affirm that proposition, because his body was broken (according to Psalm 22, which John quotes alongside Psalm 34). If one wants to argue that Paul wasn't speaking of a literal breaking of Jesus' body, but instead was concerned with some purely symbolic parallel between breaking bread and Jesus' body, then there shouldn't even be a concern over an alleged contradiction. One concern may still remain though: Even if there is no theological contradiction, what are we to make of Luke's account which does not say the exact same thing as Paul's? Which statement did Jesus actually say? Did he say "broken for you" or "given for you"? I will attempt to answer this particular concern in a future post. 1. The manuscript support for the KJV translation of I Cor. 11:24, which says "this is my body broken for you," can be found in 42 manuscripts, not including many extra copies of Syriac Peshito translation collected over the past few centuries. These 42 manuscripts which support the insertion of the word "broken" in I Cor. 11:24 are: Codex Aleph (4th century, corrected), C3 (5th century), Db (6th century), Codex Athos (8th century), Dc (9th century), G (9th century), K (9th century), P (9th century), minuscules 81 (1044 A.D), 88 (12th century), 104 (1087 A.D.), 181 (11th century), 326 (12th century), 330 (12th century), 436 (11th century), 451 (11th century), 614 (13th century), 629 (14th century), 630 (14th century), 1241 (12th century), 1739 (10th century, marginal note), 1877 (14th century), 1881 (14th century), 1962 (11th century), 1984 (14th century), 1985 (1561 A.D.), 2127 (12th century), 2492 (13th century), 2495 (14th century), the Byzantine Lectionary (547 A.D., but the origins of which trace back to the 4th century), Old Latin manuscripts d (5th century), e (9th century), and g (9th century), Syriac Peshito (4th century or earlier), Syriac Harclean (sixth century), Gothic (4th century), and references from Ambrosiaster (4th century), Basil (379), Chrysostom (407), Euthalius (5th century), Theodoret (466), and John-Damascus (749). 2. John Wesley, David Guzik, and John Gill are but a few more examples of commentators who shared this view. This leaves only two more possible statements by Paul, one of which says "this is my body shattered for you," and the other which says, "this is my body broken for you." The big problem with the first reading is that only one manuscript from the fifth century contains it, and it is not even the primary text on the surface of that manuscript either, but rather is the faded, partially erased handwriting contained alongside the rest of the text. And furthermore, that manuscript in which it is found also happens to be a bilingual manuscript, and the Greek text differs with the corresponding text in the accompanying language! 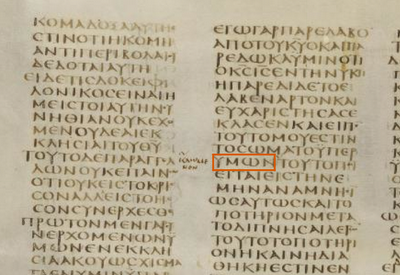 In other words, the Greek text which says "this is my body shattered for you" doesn't even translate properly with the corresponding text within the same manuscript! It doesn't take much imagination to understand why this is considered an inferior reading. The manuscript in question has words which have probably been erased and written over numerous times by various scribes, and the additional word -- "shattered" -- doesn't even correspond with the other language in which the manuscript is translated. This leaves us with one last option to consider: the phrase, "this is my body broken for you". Much to my own surprise, when I looked into the supporting manuscript evidence for this variation by Paul, I found that there is an overwhelming amount of textual support for it. But as I mentioned at the beginning of the last post, the Greek text which underlies the KJV -- the translation which provides this textual variation -- is "generally regarded as an inferior form" and "the least valuable".2 One of the reasons this textual variation is considered inferior is because it appears to contradict the theology of John's gospel, which says that not one of Jesus' bones would be broken. But besides that apparent theological contradiction (which will be explained in a future post), the only other reason for disregarding the KJV translation is because the modern theory of textual transmission is so radically different than the one used for the KJV. And so, since the entire widespread transmission of manuscript evidence in support of the King James translation are presumed to be an inferior form and the least valuable of all manuscript traditions, this only leaves one "superior" reading of text from which to choose: "this is my body which is for you"; and that variation of text is found only in modern translations of the Bible. But what most scholars don't tell you is this: There are only seven copies of Scriptural manuscripts copied with the original Greek language that contain this allegedly "superior" reading. Let me repeat that information just in case it slipped by you unnoticed: there are only seven copies total which contain a Greek reading. Admittedly, one of the seven manuscripts is definitely old, dating to around A.D. 200;3 and two more manuscripts which also agree are purported to originate in the fourth century.4 But that minuscule amount of early manuscript evidence hardly justifies its "superior" quality. Even if you include the remaining four Greek manuscripts into the equation, two of which come from the fifth century,5 and the remaining two from the 9th century and later,6 the blatantly obvious flaw with this theory is that the presumably "superior" reading is found in only seven copies of the Greek New Testament, and only three of them are very old! Add to this list only six more references7 mentioned in passing8 by theologians who lived around the south & south-eastern border of the Mediterranean (which also happens to be the same general location from which the three very old Greek manuscripts originated! ), and one Armenian translation dated in the 6th century (which, interestingly enough, was also translated from Greek manuscripts located in the south-eastern border of the Mediterranean), and what you find is that the total combined amount of manuscripts in support of the modern "superior" reading is a whopping fourteen, and only one of them is a legitimately older copy of the Greek New Testament (p46) -- that is to say, legitimately older than the copies which support the allegedly "inferior" KJV manuscripts. And remember, all of them originate from the same general south & south-eastern border of the Mediterranean, and no where else in the world. To some seriously invested and hostile critics of the KJV, this might not appear to be enough evidence to place the text of modern translations in a position of inferiority, but this is only what a cursory glance has to offer us. The manuscript evidence which supports the KJV also has early support ranging all the way back to the 4th century,9 but a lot of scholars instinctively regard those textual variations as unimportant because they presume that entire textual tradition is inferior. But in fact, this can't be the case because, with respect to I Cor. 11:24, two of the manuscripts which contain the "superior" reading also contain the word "broken" (as found in the KJV) on the main page. And one of those manuscripts is even considered to be one of the oldest Greek manuscripts ever discovered! At some point in time, perhaps immediately upon copying those manuscripts, perhaps centuries later, the word "broken" was hand-written on the face of those manuscripts as an alternative rendering. Consider this evidence also: there is one other "superior" manuscript which contains the "inferior" textual variation underlying the KJV translation, but that inferior text is written in the margin of the manuscript, not the face. The bottom line of what I'm saying is that three of the seven copies of the Greek New Testament which support the "superior" text also contain the inferior text as well, which is evidence that the allegedly inferior text had an early existence alongside other early manuscripts. If one were to question the modern theory of textual transmission and the alleged "inferiority" of later manuscripts which support the KJV translation, there wouldn't be much evidence remaining in favor of the statement "this is my body which is for you." In fact, apart from the six references made in passing from early theologians (in the 3rd, 4th, & 5th centuries), the manuscript evidence would reduce to only two manuscripts which fairly represent the "superior" reading: one from the 5th century (Codex A) and one from the 9th century (minuscule 33). The question may still be asked, "What is all of this supposed to mean to me?" In the next post of this series I will attempt to tackle the alleged theological contradiction of the KJV translation. 1. That is to say, it is unlikely apart from the exception of an extremely rare occurrence within the Greek text that necessitates the correction of incomplete syntax, and that incomplete section of syntax can only be fulfilled when an older manuscript of a different language (like Latin) is used. 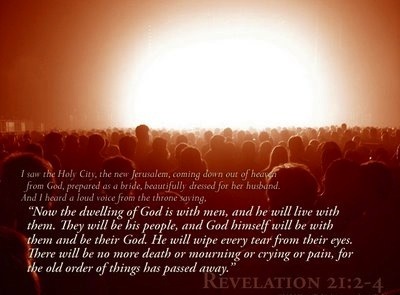 One possibility of this rare occurrence is found in I John 5:7-8. 3. Ibid., p. 54; The one genuinely old manuscript containing I Cor. 11:24 is Papyrus 46. 7. Cyprian of Carthage (3rd century), Origen of Alexandria (3rd century), Athanasius of Alexandria (4th century), Pelagius of Rome (late 4th century), Cyril of Alexandria (5th century), and Fulgentius of North Africa (late 5th century). 9. 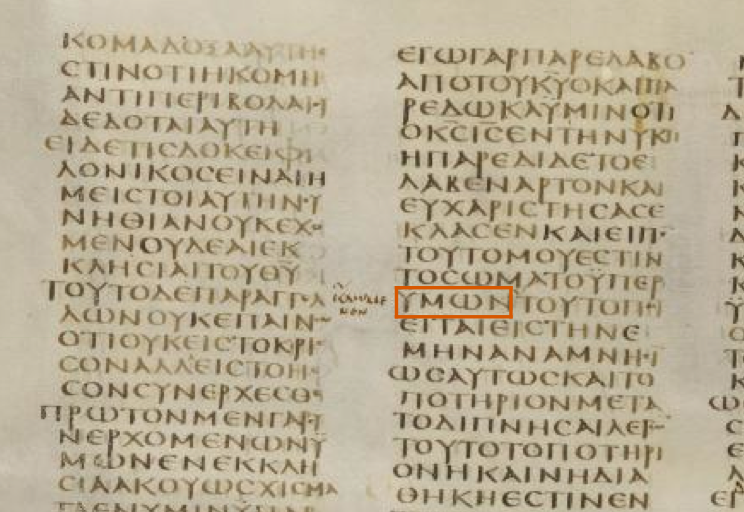 Codex Aleph (Sanaiticus) has been dated as one of the "oldest" Greek manuscripts in existence, and it contains a faded, hand-made correction of the word "broken" in I Cor. 11:24. Also, Basil of Caesarea, Chrysostom of Constantinople, and Pseudo-Ambrose -- all 4th century theologians -- include the word "broken" in their references to I Cor. 11:24. Also, the Byzantine Lectionary (547 A.D.), which originated during the 4th century, contains a reading of I Cor. 11:24 with the word "broken" in it. And finally, the Gothic and Syriac Peshito translations of the 4th century both contain it; most noteworthy about the Peshito translation is that its textual tradition assuredly dates from at least the late 4th century. Some textual critics, such as Frederick Scrivener in his classic work, A Plain Introduction to the Criticism of the New Testament, have even suggested that it's regular use in worship can safely be traced back to the 2nd century. The textual critic, Dean Burgon, also contended for the plausibility of the Syriac Peshito translation originating in the 2nd century, although he admits that there is no extant manuscript which can be dated prior to the late 4th century. 10. The manuscript support for the KJV translation of I Cor. 11:24, which says "this is my body broken for you," can be found in 42 manuscripts, not including many extra copies of Syriac Peshito translation collected over the past few centuries. These 42 manuscripts which support the insertion of the word "broken" in I Cor. 11:24 are: Codex Aleph (4th century, corrected), C3 (5th century), Db (6th century), Codex Athos (8th century), Dc (9th century), G (9th century), K (9th century), P (9th century), minuscules 81 (1044 A.D), 88 (12th century), 104 (1087 A.D.), 181 (11th century), 326 (12th century), 330 (12th century), 436 (11th century), 451 (11th century), 614 (13th century), 629 (14th century), 630 (14th century), 1241 (12th century), 1739 (10th century, marginal note), 1877 (14th century), 1881 (14th century), 1962 (11th century), 1984 (14th century), 1985 (1561 A.D.), 2127 (12th century), 2492 (13th century), 2495 (14th century), the Byzantine Lectionary (547 A.D., but the origins of which trace back to the 4th century), Old Latin manuscripts d (5th century), e (9th century), and g (9th century), Syriac Peshito (4th century or earlier), Syriac Harclean (sixth century), Gothic (4th century), and references from Ambrosiaster (4th century), Basil (379), Chrysostom (407), Euthalius (5th century), Theodoret (466), and John-Damascus (749). As noted in part two of this series of posts, there definitely are variations of statements found among the manuscripts of Paul's letter to the Corinthians, particularly the statement made in I Corinthians 11:24. And there are also many presumptions about those variations too, namely that the older manuscripts which support modern translations are better than the later manuscripts which support the King James Version (KJV). 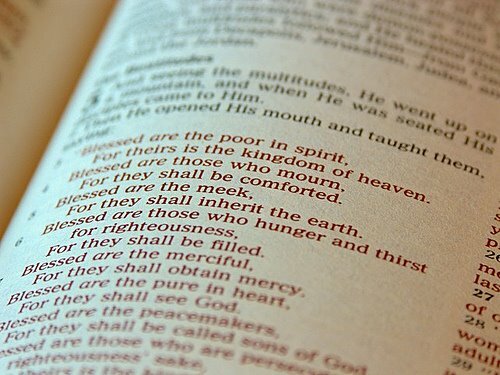 According to Bruce Metzger and Bart Ehrman, in their highly acclaimed book, The Text of the New Testament: It's Transmission, Corruption, and Restoration, the manuscripts which provide the textual support for the KJV translation are "generally regarded as an inferior form"1 and "the least valuable"2 among all that have been preserved. The question still remains, how does one assess the value or inferiority of a given rendering so that they can be sure it's the correct one? This post will focus on answering that question, or at least leading into a focused answer to that question; and I will do so by continuing the discussion about varying theories of textual transmission (which I mentioned briefly in the last post). Also, keep in mind that, as I noted carefully in the last post, I am not a "KJV-only" theologian. I cannot stress this fact enough. I am, in fact, very much opposed to KJV-only-ism because there is simply too much scholarly evidence which conflicts with that ism. The main reason why I repeatedly mention the KJV is to illustrate an english translation based upon a older theory of textual transmission -- a theory which is no longer popular today. The popular modern theories of textual transmission operate on a presumption that certain older manuscripts are "superior" than others. I wish I could, in all honesty, agree with that presumption. That would certainly make this translational difficulty much more convenient to resolve. But I don't agree with that presumption because there isn't enough uniformity among the older, allegedly "superior" manuscripts to convince me that the oldest manuscripts represent an authentic copy of what Paul wrote. As far as manuscript evidence is concerned, the translations found in the ESV and KJV are not the only options available. There are a few choices to be found among the manuscripts which contain I Corinthians 11:24. Some manuscripts say "This is my body which is for you." Some manuscripts say "This is my body which is broken for you." One manuscript even says "This is my body which is shattered for you" (literally, "this is my body which is broken-in-small-pieces for you"). And finally, some manuscripts say "This is my body which is given for you," as it's found in Luke's gospel. But which manuscripts provide the "superior" preservation of Paul's words? Modern textual critics contend that the oldest copies of manuscripts available to us today represent the most "superior" and "valuable" manuscripts ever copied in the history of textual transmission. Because of this, the text contained within these older manuscripts are considered to be the most superior as well.3 They don't claim that the oldest are perfect, but when compared with manuscripts dating hundreds of years after the first century, the oldest are presumed to be more authentic and closer to what was originally written. In this sense, the older manuscripts are more-perfect, and presumably so, because they were copied in a time which was much closer to the date of the original perfect manuscript. I think this is a huge presumption, and, in many instances of translational disputes, it's an unnecessarily clumsy one as well. One of the first things a student must learn regarding the textual history, is the distinction between the age of the manuscript and the age of the text offered in that manuscript. A rather young manuscript can give a very old type of text. 3. No scholar has ever affirmed (at least, not to my knowledge) that the manuscripts underlying the King James Version are not as old as the manuscripts discovered since then (i.e. manuscripts which are used as the basis for all modern translations). It's obvious that modern translations use older manuscripts. The real contention comes into play when the age of the underlying text within a manuscript is being disputed, which is the case in point when considering a modern translation of I Cor. 11:24. Based on external evidence, the text which underlies the KJV is considered a "late text" on the alleged grounds that it is not found in the old majuscules and is not followed by the Church Fathers before Nicea in their New Testament quotations. Based on internal evidence, it has also been alleged that the text which underlies the KJV has the tendency to conflate, harmonize, and assimilate readings, and that also leads scholars to believe it is a "late text". These allegations, pertaining to both external and internal evidence, have been clearly and cogently refuted by many reputable and competent New Testament scholars. Jakob Van Bruggen, Harry Sturz, and Wilbur Pickering are but a few scholars who contend with these allegations of external and internal evidence. 4. Jakob Van Bruggen, The Ancient Text of the New Testament [Premier Publications: Winnipeg; 1994, fifth printing] p. 22. Words in brackets are mine. 1) Jesus said "this is my body for you" with no reference to his body being "broken" or "given". 2) Jesus said "this is my body broken for you" (not "given"). 3) Jesus did indeed say "given for you" (not "broken"). In light of the fact that there are three alternatives from which to choose, a few factors need to be discussed and settled before reaching any definitive conclusions. First, it's important to ask whether all three statements work together. If they all comport with each other, then there is no reason to dispute any of the readings. But it seems as though the answer to that question is easy to provide if one only looks into a modern translation. Luke's gospel says "this is my body given for you," which does allow some wiggle-room for Paul to say "this is my body for you." Paul just has to omit the verb "given" and then we have two verses which, in the very least, don't contradict each other. At first glance this seems to provide some agreement between Paul's words and Luke's. But the problem with Paul's letter is that we have a variety of manuscripts which say more than just "this is my body for you", which is the reading contained in most modern translations (e.g. ESV, NIV, NASB, HCSB, etc.,). The KJV translates I Cor. 11:24 as saying "this is my body broken for you" because there are many manuscripts which contain the verb "broken". Other manuscripts containing I Cor. 11:24 say "given for you" (just like it's found in Luke's gospel), and one even says "shattered for you" (literally, "this is my body broken-in-small-pieces for you"). And so the question about the KJV translation (i.e. "this is my body broken for you") working well with Luke's version (i.e. "this is my body given for you") still needs to be asked. At first glance the answer is no. Luke says "given", and Paul, in the KJV, says "broken". I suppose the only way to dodge that bullet is to argue that Jesus said both words (i.e. "this is my body broken and given for you"), without having any manuscript evidence to support that claim. There simply is no manuscript evidence to support the use of both words in one statement, and so the answer to the opening question is that all three statements do not work together because, in the very least, Paul's statement -- "this is my body broken for you" -- does not agree with Luke's statement. This conclusion also assumes that both Paul and Luke were attempting to provide an exact quotation of what Jesus said (which is a conservative assumption). A second factor which needs to be taken into account is the manuscript evidence itself, but that is a very broad subject in itself -- so broad, in fact, that I need to be very careful in what I present as helpful information. Most people are not interested in tedious, technical, textual information about a language that's foreign to them, and so I don't plan on discussing any of that. And if it turns out that I have to mention a little about that, I will wait until it's absolutely necessary; and when it is necessary, I plan on keeping such technical information to an absolute minimum. Aside from whatever technical information may eventually need to be discussed, a third and far more important factor concerning the manuscript evidence is the theory of textual transmission which underlies each translation. Modern translations, such as the ESV, definitely operate with a different theory of textual transmission than older ones (such the KJV). Even though the ESV and the KJV both use a classical method of textual criticism, they do not operate with the same theory of textual transmission; and this is an important distinction to acknowledge because one's theory of textual transmission affects the selection of all available material and the trustworthiness of evidence on which to base a given text. In other words, when faced with different renderings of a given verse (e.g. I Cor. 11:24), one's theory of textual transmission affects the way in which one determines the "best" text. It also affects many attempts to identify and eliminate perceived errors that are found even in the "best" manuscripts. But don't misunderstand my purpose in pointing out this major difference between old and new English translations. Modern translations are necessary, helpful, and very reliable. I am not an advocate of "King-James-only-ism," nor will I ever be (primarily because I actually have studied a lot of evidence pertaining to its viability as a theory). But modern translations are not perfect, nor are their theories about textual transmission. And this will become important to remember when we have to sort through some technical information later on in this discussion. It is not always necessary to jump on the bandwagon of belief that modern translations (like the ESV) are better than older ones (like the KJV). It is because modern translations are not perfect, nor have they ever claimed to be, that we must be, in the very least, somewhat hesitant to jump on this bandwagon. But we still need to ask, in what way does one's theory of textual transmission affect the translation of Paul's letter to the Corinthians? If a modern theory proposes that the manuscripts transmitted to the translation committee of the KJV were not "trustworthy", then that affects one's assumption about it's authenticity. And when we finally need to sort through some of the technical information at a later time, presumptions about the authenticity of the text which underlies the KJV seems to be a very important factor underlying the omission of the word "broken" in modern translations of I Cor. 11:24. If the KJV used manuscripts that are presumed to lack authenticity, and those manuscripts say "this is my body broken for you," then that presumption theoretically helps narrow the "likelihood" of what Paul actually wrote. In other words, it makes the job of modern translators that much easier if they can discard hundreds of manuscripts which are presumed to lack authenticity. But there is another factor to consider when deciphering a text's authenticity (or lack thereof): the factor of theological contradictions. This too plays a part in the textual dispute of I Cor. 11:24. Wouldn't Paul's statement, "this is my body broken for you" contradict John's statement that Jesus' bones were not broken (John 19:36)? And if it contradicts other doctrines of Scripture, is that not also evidence of a manuscript which lacks authenticity? The factors of theological contradictions and manuscript evidence will be discussed further in the next post, but for now, I hope this helps clarify that there are a lot of important factors and hidden presumptions involved in determining differences in translations. Some translational differences are easy and simple to settle because the errors are so elementary and plain, but others still remain truly difficult. Not many remain difficult, but some for sure. What perplexes me is when textual critics and scholars notice a truly difficult text to sort through, but yet, because they are committed to advancing modern theories of textual transmission, they gloss over the difficult text -- which may be the authentic one -- and proclaim dogmatically which reading is obviously "better" and more "trustworthy". Modern theories of textual transmission allegedly sort out many of the difficulties -- even the difficult renderings found among the manuscripts of Paul's letter to the Corinthians. But does anyone seriously believe that the modern theories of textual transmission are inerrant? Is it possible that Paul actually said "broken," and modern translations of I Cor. 11:24 have made a mistake by omitting the word "broken" from the text? Is there really a contradiction to be found in Paul's statement if the word "broken" remains? And is it necessary, or even essential in this discussion, to assume that both Paul and Luke were attempting to provide an exact quotation of what Jesus said? In following posts, I plan on discussing a few important assumptions, as well as the alleged theological contradictions of I Cor. 11:24. But I promise to keep the technicalities to an absolute minimum. For I received from the Lord what I also delivered to you, that the Lord Jesus on the night when he was betrayed took bread, and when he had given thanks, he broke it, and said, "This is my body which is for [footnote] you. Do this in remembrance of me." In the same way also he took the cup, after supper, saying, "This cup is the new covenant in my blood. Do this, as often as you drink it, in remembrance of me." For as often as you eat this bread and drink the cup, you proclaim the Lord's death until he comes. The "footnote" which I added in brackets is important because it states that "some manuscripts" contain the words "broken for". I will discuss more about the importance of this footnote in part 2 of this series of posts. For I received from the Lord that which I also delivered to you: that the Lord Jesus on the same night in which He was betrayed took bread; and when He had given thanks, He broke it and said, "Take, eat; this is My body which is broken for you; do this in remembrance of Me." In the same manner He also took the cup after supper, saying, "This cup is the new covenant in My blood. This do, as often as you drink it, in remembrance of Me." For as often as you eat this bread and drink this cup, you proclaim the Lord's death till he comes. Which is it? Did Jesus say "This is my body for you" or did he say "Take, eat; this is my body which is broken for you"? And he took bread, and when he had given thanks, he broke it and gave it to them, saying, "This is my body, which is given for you. Do this in remembrance of me." And likewise the cup after they had eaten, saying, "This cup that is poured out for out for you is the new covenant in my blood." So now, from the historical perspective of English translations, we have three possible statements of Jesus: First, he said "this is my body for you" with no reference to his body being "broken" or "given"; second, he did indeed say "broken for you", not "given"; and third, he did indeed say "given for you", not "broken". Which of the two translations contains the "better" reading? Why are there three different options from which to choose? Why did the ESV translators choose a different reading than the NKJV? Some important answers to these questions will be discussed in Part II.